Portfolio management systems are central to the ongoing management of investment portfolios. Boston, August 23, 2018 – The requirements for portfolio management systems globally have evolved over time, with a greater demand for tighter integrations, more complete straight-through processing, and the ability to support real-time data and transactions with internal or external ad hoc requests. This has given rise to the conceptualization, development, and marketing of front-to-back vendor solutions. Can such systems become the core foundation to support the buy-side’s entire operations? 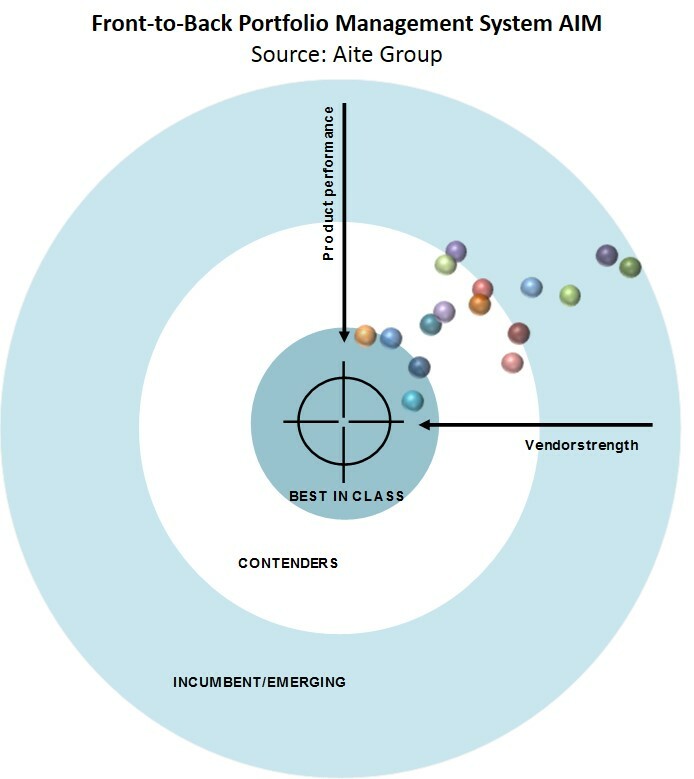 Leveraging the Aite Impact Matrix (AIM), a proprietary Aite Group vendor assessment framework, this Impact Report provides a definition for a full front-to-back system across functional lines and offers insight into some of the current trends in buy-side system implementation and architecture. From August 2017 to June 2018, 17 front-to-back providers participated in a detailed survey, product demos, and interviews for the AIM framework. The providers are ACA Technology, BlackRock, Broadridge, Calypso Technology, Enfusion, Eze Software, Finastra, FIS, Fundamental Software, Jump Technology, Linedata, Murex, NeoXam, Numerix, Profile Software, Quantifi, and SimCorp. This 120-page Impact Report contains 61 figures and nine tables. Clients of Aite Group’s Institutional Securities & Investments service can download this report, the corresponding charts, and the Executive Impact Deck.